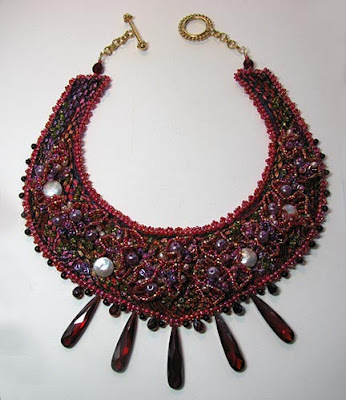 Love beading projects, thank you for posting these. What a great resource! Thank you, Cyndi. P.S. "Midnight at the Oasis" is my favorite piece that I've seen on your blog. It makes me happy just to see the photo. Wow, I think they are all my favorites! You never cease to amaze me Cyndi! :-) Thanks June...but it's just because I have no life! Wow, Cyndi- what a wealth of information- it's dazzling! Thank you! and, Midnight at the Oasis is phenomenal!